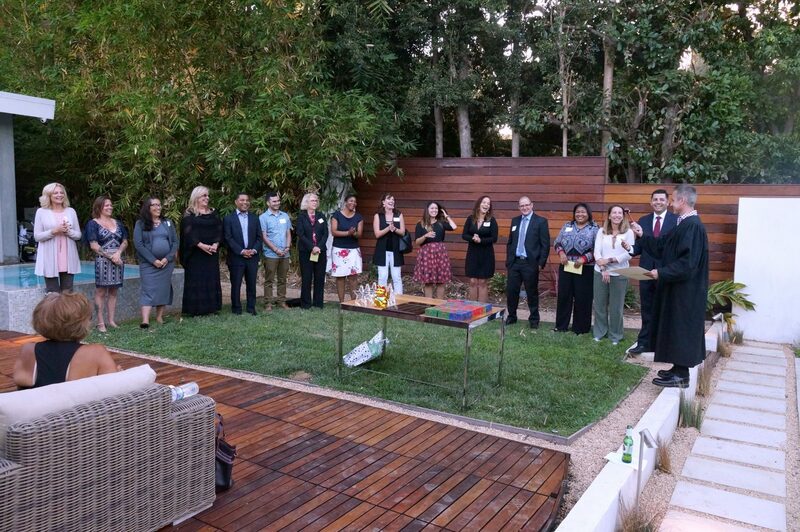 The 2017-18 LLB Board of Directors were inducted on Friday, July 28 at the home of the Honorable Judge Daniel Lowenthal in Park Estates. 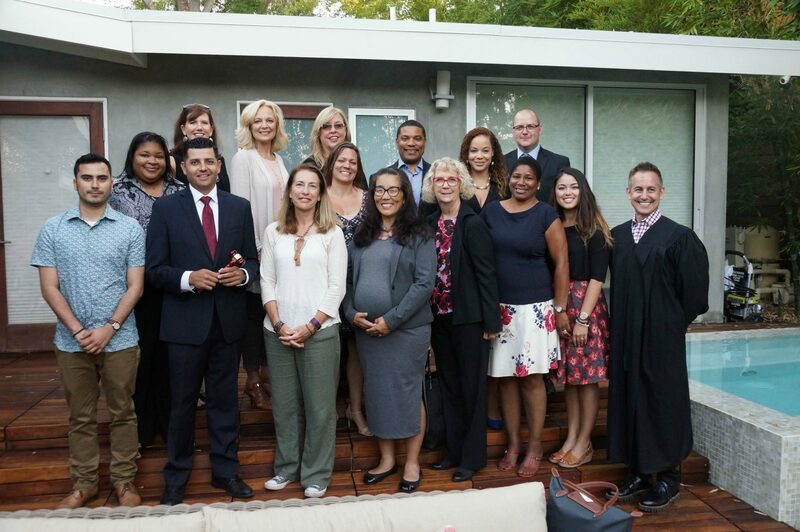 The newly inducted board along with incoming Board President Ryan Rayburn (LLBI ’13) were given their oath by Judge Lowenthal before a crowd of distinguished guests including several Honorary Board of Governors, LLB past presidents, family and friends of Leadership Long Beach. 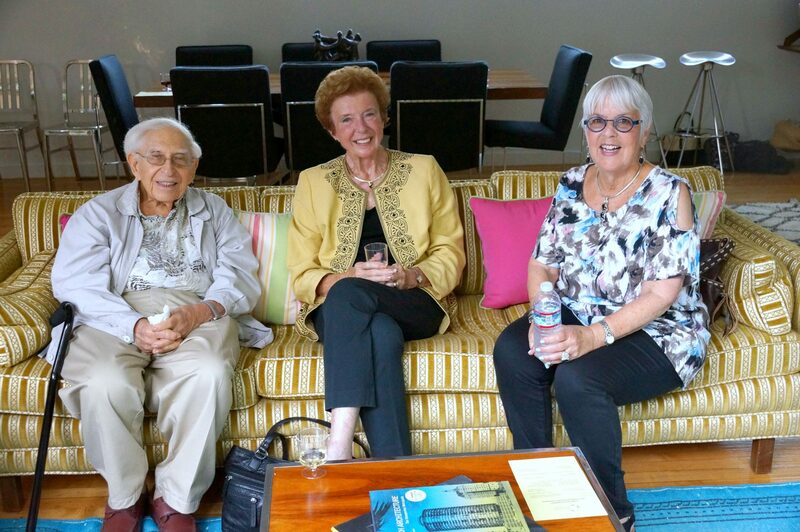 Click here for photo gallery of event. 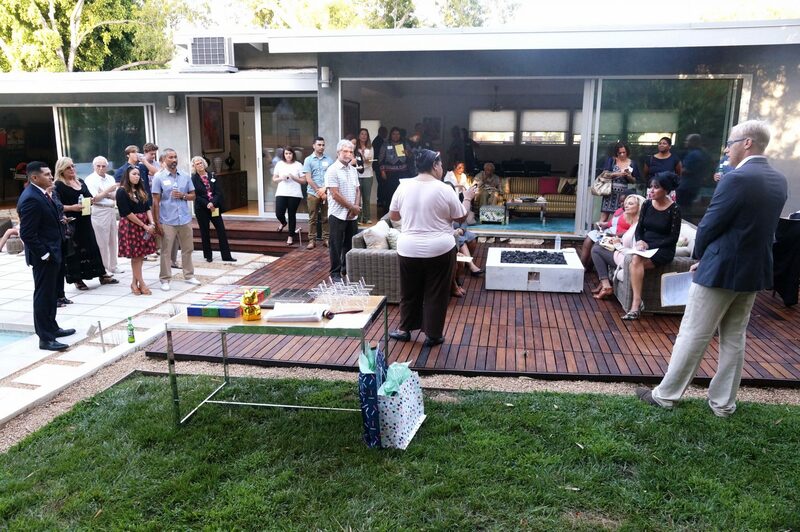 Outgoing board president Julie Larkins (LLBI ’12) thanked her board for their diligent work during the year and recognized outgoing board members in attendance – Teresa Gomez (LLBI ’14), Kathleen McGree (YLLB parent), and Veronica Davalos (LLBI ’09). Julie received a recognition gift from the board chronicling her years in LLB, and she showed her appreciation to her board by providing a small gift to each. The incoming board was introduce to the gathering and the oath of induction was given by Judge Lowenthal. 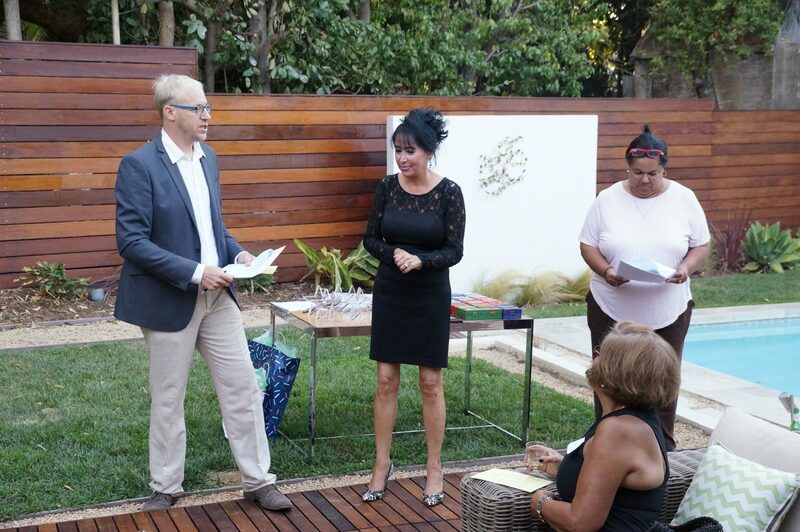 The 2017-18 Board President Ryan Rayburn gave an impassioned speech on his love and dedication to Leadership Long Beach and thanked his family, especially his mother, for providing him with the guidance to excel as a leader. The gathering included LLB Honorary Board of Governors Beverly O’Neill, Gene Lentzner, Pam Spoo (LLBI ’96) and Dr. Mike Walter; past LLB Presidents Rolando Cruz (LLBI ’10), Christina Winting (LLBI ’94), Minnie Douglas (LLBI ’94), Veronica Davalos (LLBI ’09), and Carolyn Smith Watts (LLBI ’01). Newly appointed LB Harbor Commissioner Bonnie Lowenthal and former LB City Councilman Evan Braude were also in attendance as well as members of Board President Ryan Rayburn’s family including his sister, Kalim Rayburn (LLBI ’03). Click here to view entire 2017-18 LLB Board list.